Sadly memories fade after awhile. Details may get a bit fuzzy, years go by and faces may dim. Thankfully family photo albums keep memories of our loved ones that we have lost after the years alive in our minds. Now there is a book that keeps your precious racing memories alive. 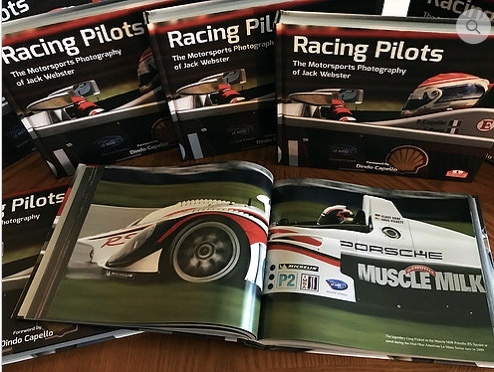 Ace motorsport photographer Jack Webster’s new book, “Racing Pilots” – The Motorsport Photography of Jack Webster, over 45-years in the making is now available. Early in the book it has a fantastic shot of the legendary French driver, Francois Cevert arms high in the air in a victory salute as he crosses the finish line at Watkins Glen in 1971. The Cevert color photo comes alive as does the many others in the book covering Formula One, Can-Am and IMSA in the golden era. Many photos of Jackie Stewart and Cevert bring back memories of the powerful driving duo who along with team owner and manager Ken Tyrrell dominated F-1 in the late-1960’s and early 1970’s. Sadly it was also a dangerous time as many drivers perished as David Hobbs is quoted, “I always wanted to be a regular Formula 1 driver, but if I had I probably wouldn’t be here today.” These quotes follow the subject matter throughout the book and provide a voice to the photos as does Jack’s vivid memory, not only of the subject matter but also provides insight into the techniques used to make the photos, such as camera, lens, etc. Action shots are shown throughout the book and show the high stakes of racing, but it is also the portraits of the drivers deeply in thought which also take the reader back to tracks such as The Glen, Road America, Sebring, just to name a few tracks featured. 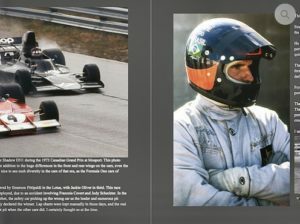 Drivers such as Fittipaldi, Follmer, Donohue, Lauda and Revson are just several of the many featured in the book. 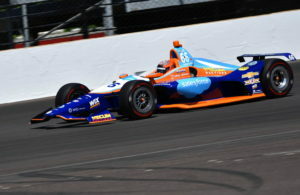 Photos of race cars dancing in the rain, early morning practice sessions and modern street circuits along with modern road racing series show the variety of light and weather that challenged Jack and his photography skills, and the results are spectacular. 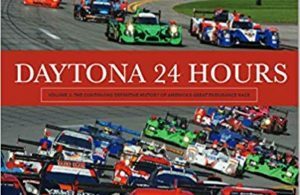 It’s 324-pages of black and white and color photos with engrossing text that will flood your brain with memories, especially if you were at some of the races featured in the book. The large format (10″ x 8″) bodes well for the subject matter. 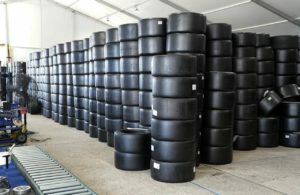 Chapters include: The Early Years, Quality of Light, Life in the Pits, Into the Night, The Art of Shooting in the Rain, Race Action, Special Set Ups and Frozen in Time. 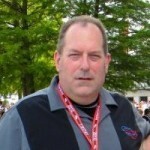 The foreword to the book has been written by Audi legend and multiple Sebring and Le Mans winning driver Dindo Capello. I highly recommend it and believe you’ll love it. The print quality is outstanding – entirely designed, produced and printed in the USA. The book is available for $69.99 and currently has an offer of free shipping within the U.S.